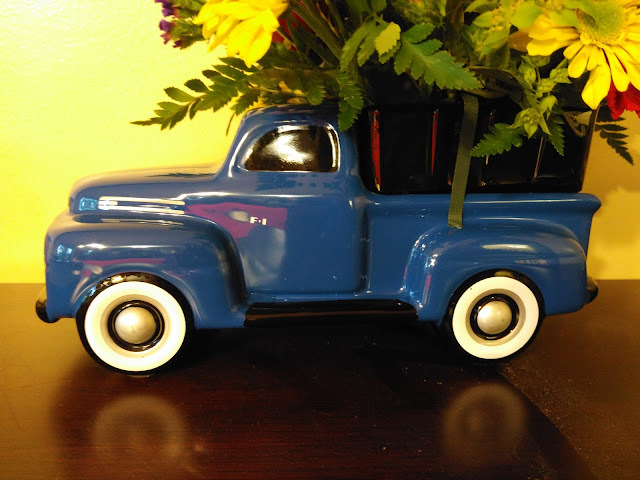 Celebrate Car Lovin' Dad with a Vintage Ford Pickup Bouquet! Got a classic car or truck lovin' Dad on your list this Father's Day? Then I have the PERFECT gift idea! Check out this new Vintage Ford Pickup Bouquet by Teleflora! My husband is a classic car and truck lover and is currently re-building a '50 Pontiac Chieftain in our garage. 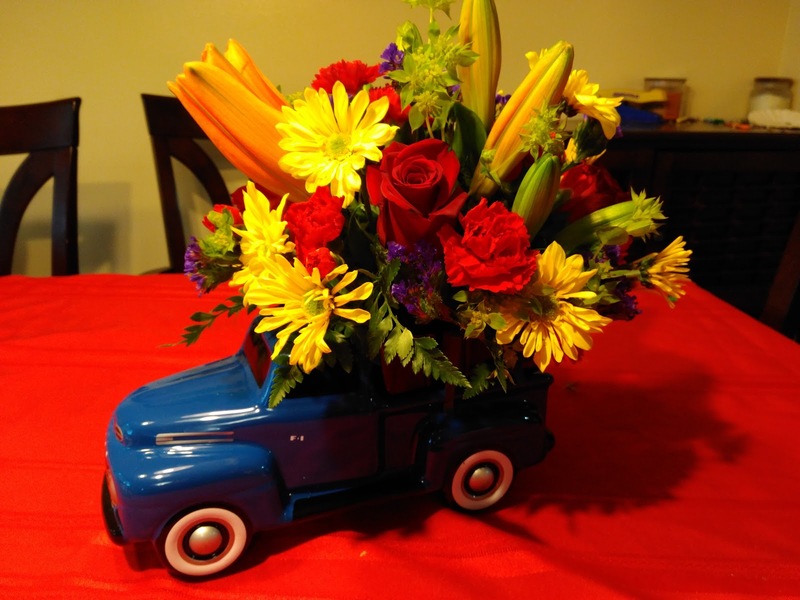 I knew he would love this Father's Day bouquet because he is always saying his next "project" is a vintage truck! 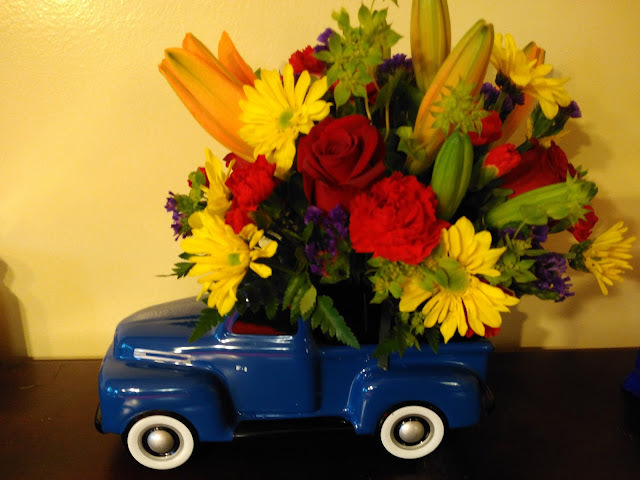 I loved watching his eyes light up when he opened his early Father's Day gift of the Vintage Ford Pickup Bouquet by Teleflora! What better way to celebrate Dad's special day this year than with a classic '48 Ford Pickup, bursting with a colorful bouquet of roses, lilies and mums? In bold blue, this hand-painted ceramic collectible is a one-of-a-kind gift he'll always treasure! Dad not a classic truck kind of guy? Don't worry - Teleflora has so many other great options for Dad this Father's Day! Check them out here!